Apple Music is a popular streaming music service developed by Apple Inc. It can not only be played on Apple devices, but also on a Microsoft Windows PC installed with iTunes or on an Android phone with the Apple Music app. In this way, it's an easy job to transfer Apple Music to your mobile devices. Nevertheless, applying the Music app on your iPhone or the Apple Music app on your Android phone is not the only way to sync Apple Music. There is a more preferable way to import Apple Music to your mobile phone, which can completely get rid of the DRM restriction from Apple Music as well at the same time. Here we are going to introduce two easy ways to sync Apple Music to iPhone 8. After years of development, Apple Inc. has established an unbreakable ecochain. You can access music, videos and other information among different Apple devices as long as you are signed in to them with the same Apple ID. Naturally, you can share your Apple Music in the same way. 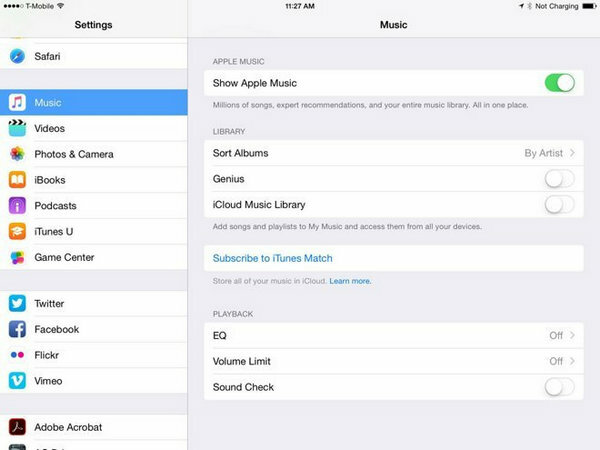 iCloud Music Library is Apple’s service for storing your music online. By turning on iCloud Music Library, you can get all of your Apple Music on iPhone 8. Just go to Settings>Music, and tap iCloud Music Library to turn it on. Note: 1) iCloud Music Library is limited to Apple Music subscribers; 2) Please make sure you are signed in to your iPhone 8 with the same Apple ID you use for your Apple Music membership. By method 1, you are limited to enjoy Apple Music on iPhone 8 with Apple Music app. And you can’t listen to any of the Apple Music when your subscription expires unless you pay for renewals. 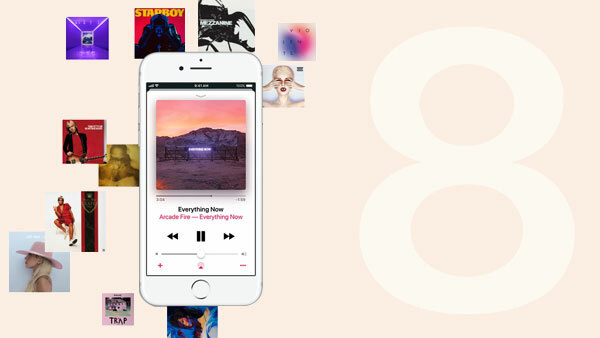 Next we are going to introduce a more powerful way to sync your Apple Music to iPhone 8, which enables you to enjoy Apple Music without any limits as well as keep Apple Music playable after cancelling subscription. 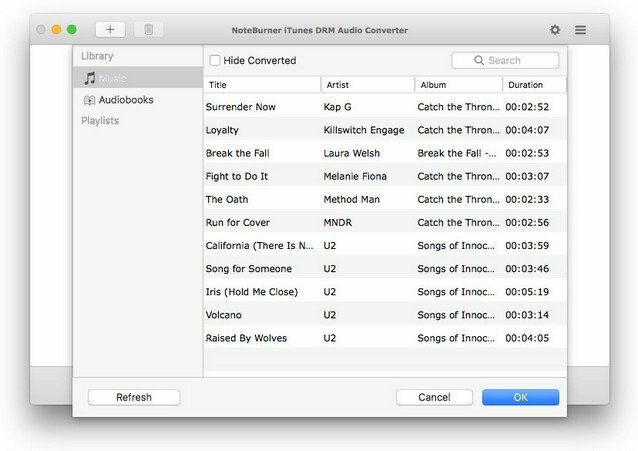 NoteBurner Apple Music Converter is a professional DRM removal for Apple Music, Audiobook as well as iTunes M4P music. It can convert DRM-protected Apple Music to common formats (MP3/ FLAC/ AAC /WAV) at 20X faster conversion speed with lossless quality. 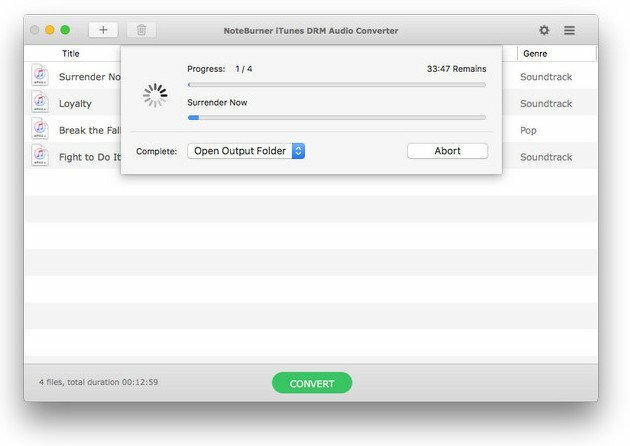 With NoteBurner Apple Music Converter, you can easily download and transfer Apple Music to anywhere you like. Launch the program. Click the button "+" on the upper left. A pop-up window will show you all of the songs you've downloaded from Apple Music. Choose the songs you like for converting and then press OK.
Click the gear button on the upper right of the interface. There will be a pop-up window to allow you to choose output format (MP3/AAC/FLAC/WAV), output quality, conversion speed(1X/5X/10X/20X) and confirm output path. Click the button “Convert” to start conversion. When they are all done, click the menu button (three lines) on the upper right of NoteBurner Apple Music Converter. Here you will find all the converted DRM-free songs with ID3 tags kept. Now all the songs you get are in DRM-free format. Please connect your phone to your computer with a USB cable, and then go to the output folder you customized in Step 2 and copy the converted songs to your iPhone 8. 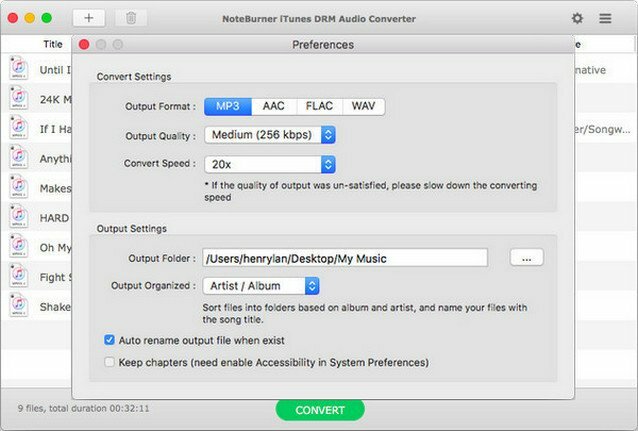 Note: The free trial version of NoteBurner Apple Music Converter converts three minutes of each audio file only. If you want to unlock the time limitation, you can purchase the full version of the program with $39.95.